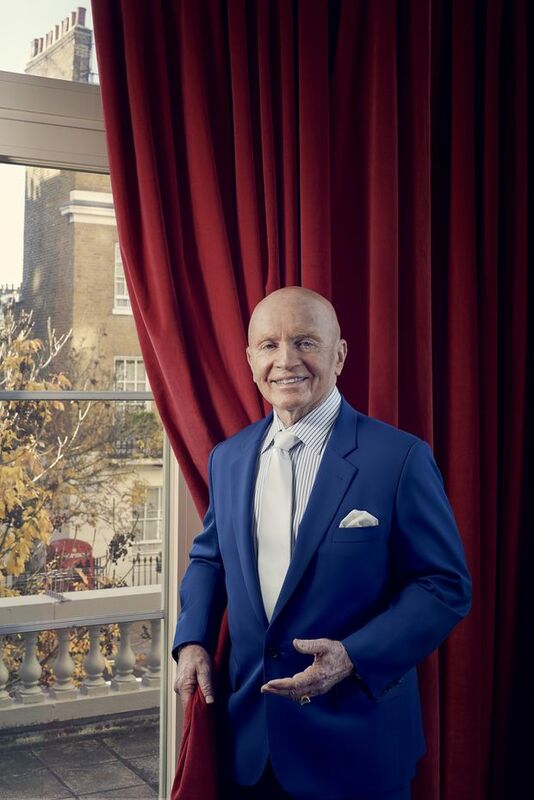 LONDON | As the globetrotting lead manager of the Templeton Emerging Markets Investment Trust from 1989 to 2015, Mobius averaged returns of more than 12% a year (a record so strong that a Japanese publisher dubbed him the Bald Eagle and turned his biography into a manga-style comic). A year ago, Mobius retired as head of Franklin Templeton’s emerging markets group and launched London-based Mobius Capital Partners with Carlos von Hardenberg and Greg Konieczny. Why did you start over again at age 81? Carlos, Greg and I had been working together for 20 years. We often said it’d be nice to have something where we were pretty much in control of everything. The target at this stage would be raising $1.5 billion (U.S.), but we’ve just started. Are you concentrating just on frontier markets? Or emerging markets too? Both. Remember, frontier markets are a subset of emerging markets. Market caps and liquidity tend to be small, and companies tend to be small and mid-sized. If you look at GDP growth, over half the fastest-growing countries are frontier countries. But aren’t a lot of them very volatile? Yeah, we love that. I wouldn’t call us ambulance chasers, but when you have trouble, it creates opportunities for us. There are good companies to look at. How do you search for investments—top down or bottom up? Your marketing materials push ESG—environmental, social and governance investing. Why? When we started the first emerging markets fund in 1987, this was called risk control. If a company is bad on the environment, beating up on workers, not good to shareholders and doesn’t pay dividends, you don’t want to invest. Who’s driving the interest in ESG—individual investors or institutions? Both. Perhaps more important, the market has been shifting to ETFs in search of low fees. So, we active investors said, “What can we do that’s different?” Why should clients pay 80 basis points in fees when they can get an index ETF for two or five? But aren’t there lots of tools investors can use to do ESG themselves? How does that pay off? Studies have confirmed that companies that have good corporate governance tend to have better share price performance. And then the ETFs will buy them. China High Speed Transmission Equipment Group was one. It makes gears for windmills. We made a small fortune on it. Years ago, in Brazil, we had a department store called Mesbla. Everything looked great—then all the assets disappeared. We went to the regulatory commission to try to get compensation. In walked the former head of finance for Mesbla—now he was the regulator. That was the end of that. If you were an investor with a $100,000 windfall, where would you put it? Into my fund. Seriously, the MSCI emerging markets index has come down more than 20% since the start of 2018, and I’m not saying there’s no more downside. But the best time to get in is when things look worst. It’s still up almost 35% since 2016. I gather you’re a musical theatre buff. Do you like London for that reason? Yeah, I love the theatre here. The last show I saw was Tina, about Tina Turner. The star was terrific—a bundle of energy. How long do you want to keep managing money? As long as I can. It’s not really a job. It’s just fun.